Like most careers in modern music, there isn’t one straight path to scoring for film and TV or video games. While it would be great to follow in the footsteps of a John Williams or a Hans Zimmer and learn the craft of orchestration and classical underscore, the reality is that there are very few jobs that ask for those specific skill sets. By all means, you should aspire to write the next Star Wars theme song, but the vast majority of media composing gigs have gone the way of the rest of the music world. Who would have thought that Trent Reznor of Nine Inch Nails could stay true to his musical self and win an Academy Award for best original score? And yet that’s exactly what he and Atticus Ross did with The Social Network, which is almost entirely rooted in the electronic world. Composing for film and TV is an ever-changing landscape. Many of the jobs are now in the video game industry, and those are often the projects with the biggest budgets. Listen to the score for the Halo series of games and compare them to a Hans Zimmer score. The production value is pretty much the same (Zimmer actually composed a score for the Call of Duty game franchise). The great thing is that the ability to create a score like this is getting easier and easier. While it is unfortunate that many films no longer even need to hire an orchestra, a wealth of new opportunities arise when you can either a) create a realistic-sounding orchestra with high-quality computer samples, or b) compose a score in a style that fits both your own musical flavor and that of the show (even if it has nothing to do with the traditional film score). Either way, this has opened the door to creating professional-sounding portfolios and reels with very small budgets. Armandary states that many of the great director/composer relationships were sewn early on, so why not develop those relationships while also honing your craft? David Schwartz, composer for Arrested Development, comments: “Take every musical experience you can, even if you don’t know where it’s going to lead.” While we all dream of getting to the point where we can turn jobs down, don’t even think about it right now. Every composer, every musician, every successful person agrees that their greatest opportunities most often came out of other jobs or projects. Schwartz got his first major scoring job on the TV show Northern Exposure after one of the show’s executives heard a score he wrote for a friend’s film (for very little money—in this case, a Roland sampler which he used to score the film!) that was never even released to the public. Scoring is time-consuming. Very time-consuming. So the question arises: how do you make time for scoring until it becomes a solid means of financial support? There are various ways to think about this. You can consider becoming an assistant to a composer. You’ll need to be prepared to do a lot more than just music-related tasks (eg., office jobs, grocery shopping, you name it…) but you’ll also get the opportunity to watch firsthand how the work is done. As you gain the trust of the composer, you may start to get more hands-on with the work. Usually these jobs will pay something, but not a lot. If you’re willing to live on very little for a while, this can be a very fruitful path to success and may open up jobs for you. And if your composing employer is offered a job that he or she doesn’t have time for, maybe you can take the job instead. Daniel Weidlein (danielweidlein.com) is a multi-instrumentalist, producer and composer. He owns and operates The B(e)at Cave recording studio in Echo Park, CA and is a graduate of USC Thornton School of Music. Jonathan Armandary is a graduate of Leeds College of Music in the UK, and is a trained saxophonist and pianist. Dino Meneghin, known for his work on MTV’s Teen Wolf, is a graduate of USC Thornton School of Music and is a trained guitarist. Ariel Ramos, whose work appears on Pushing Daisies and Terminator: The Sarah Connor Chronicles graduated from Berklee College of Music and continues to be a performing jazz pianist as well as the founder of mDecks, a music theory books and app company. David Schwartz, known for his work on Arrested Development, Deadwood, and Northern Exposure, attended Berklee College of Music and is a trained bassist. Jay Vincent, known for his work on Ninjago: Masters of Spinjitsu, graduated from USC Thornton School of Music and then returned for a post-graduate degree in film scoring. He is a trained vocalist. Networking can be one of the most valuable aspects of going to college for music. Sure, you can gain all of the technical skills outside of school, and you can study every score known to mankind on your own time. But most young people, especially graduating high schoolers, don’t yet have the skills to handle interpersonal relationships that will allow for their musical skills to be heard. At school, you learn how to deal with your peers and function symbiotically while also competing for opportunities. You learn a common language with directors that allows for cross-talk between two very different worlds. Too often composers lose out on great opportunities because they don’t know the language of film, or worse, don’t know how to express their own musical knowledge to someone less educated in the world of music and composition. I am a music performance major who is thinking of switching his major to film and video game composition. I am switching mainly due to money concerns. I think I would enjoy composing for other people but only if it had my own feel musically. What should be my concerns going into this? 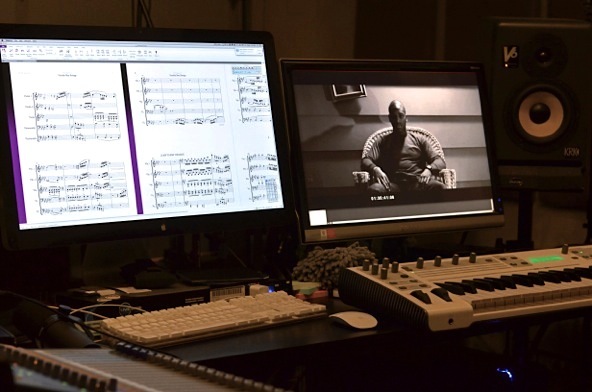 Film and video game composing does not guarantee an income especially upon graduation. Get as much experience as possible via internships, apprenticeships, attending relevant conferences where you can meet and network with people in the business, and getting a music portfolio of your own compositions. Also read our article on careers in composing. I’m a recent graduate from University of Evansville with a Bachelors in Music. I find your article encouraging and am looking for leads with companies hiring in the areas mentioned. Thank you for your time, I’m very appreciative. You’re not likely to find an employer looking to hire in this field. You’re more apt to find internships and entry-level apprenticeships but a lot also depends on your skills and experience composing and who you know and who you can get referrals from. Forget the word “no” is terrible advice. Everyone has the right and should exercise the right to say “no”. Take as many jobs as you can, yes, but also respect yourself, respect the profession of composition, and learn how to turn down people who mistreat you. If you don’t respect yourself, no one will.